First of all, the idea was to have modal dialog using Bootstrap modal (More info.) 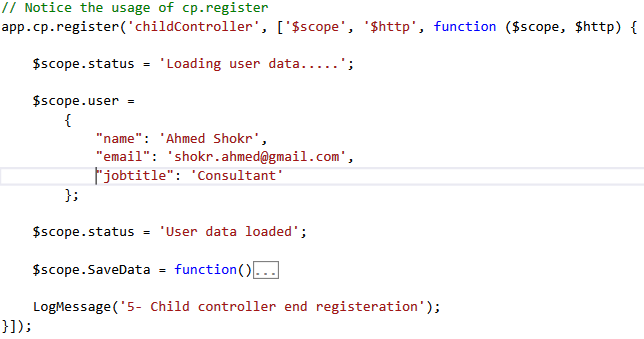 and hookup controllers dynamically as the new controllers will be registered dynamically when needed. 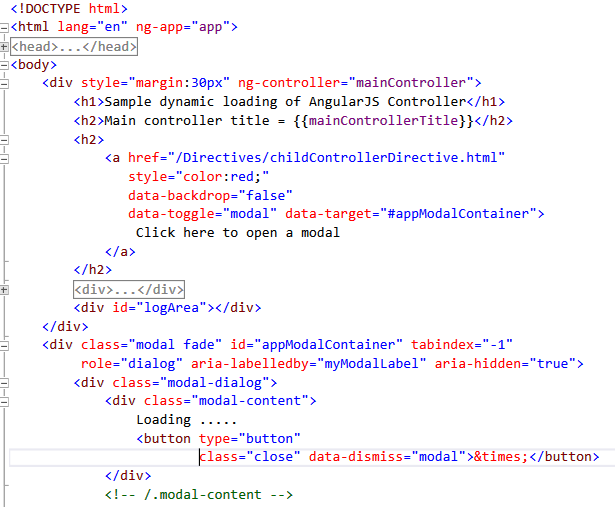 3- In our index.html we add the AngularJS controller binding and a simple Bootstrap modal link with the associated target template. 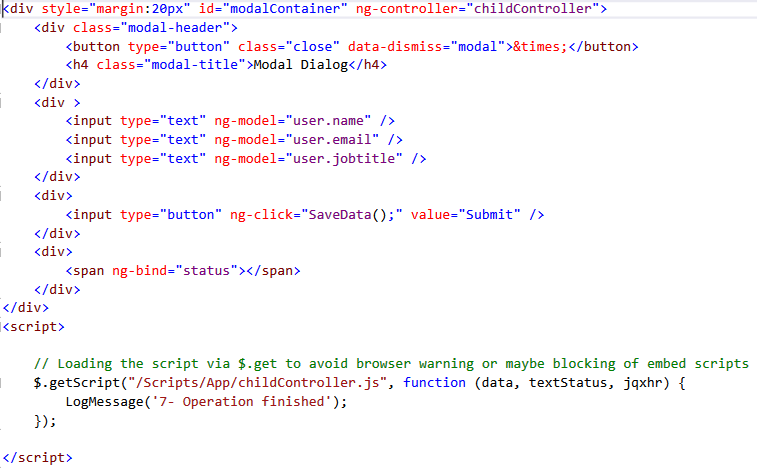 4- Modal target page definition, notice the child controller hookup and the Ajax loading for the child controller definition at the end. 6- Last and the magic trick , after all loaded force compiling the modal main element within the prospective scope. P.S. The sample in html only, just open directly from the folder.